Safe-haven government bonds benefited in the face of growing anxiety over the global outlook, with German and Japanese debt yields falling to their lowest in over two years. Spreadbetters expected European stocks to open mixed, with Britain’s FTSE inching up 0.1pc, Germany’s DAX retreating 0.05pc and France’s CAC starting flat. MSCI’s broadest index of Asia-Pacific shares outside Japan shed 0.5pc, easing back from a four-month peak touched the previous day. 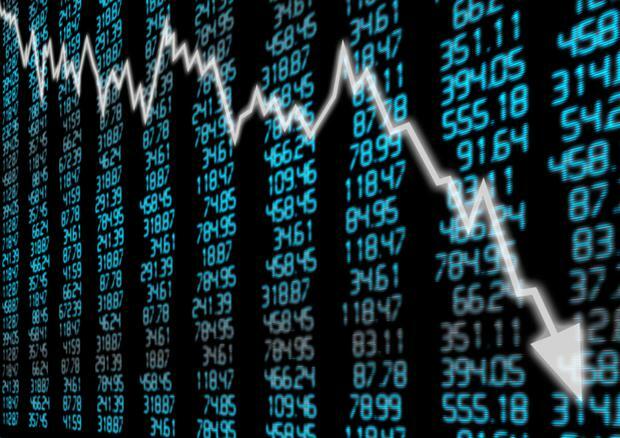 The index was down 0.1pc on the week. Hong Kong’s Hang Seng lost 0.25pc and South Korea’s KOSPI retreated 1.1pc. Japan’s Nikkei tumbled about 2pc. The European Commission on Thursday sharply cut its forecasts for euro zone economic growth this year and next, stoking fears a global slowdown is spreading to Europe as businesses and investors grapple with trade frictions. Adding to the gloomy mood, US President Donald Trump said he did not plan to meet with Chinese President Xi Jinping before a March 1 deadline to achieve a trade deal. “Investors are getting nervous as the market had been optimistic about a resolution of the trade dispute since the beginning of the year,” said Shusuke Yamada, chief Japan FX and equity strategist at Bank of America Merrill Lynch. Trump’s stance rattled investors hoping for a resolution to the months-long trade dispute between the world’s biggest economies. Wall Street shares slumped in response overnight, with the Dow falling 0.9pc to pull back from a two-month peak scaled midweek on upbeat corporate results. “With many of the corporate earnings out of the way, equities appeared ready for a correction after their recent highs,” said Masahiro Ichikawa, senior strategist at Sumitomo Mitsui Asset Management. Mnuchin and Lighthizer are expected to kick off another round of trade talks in Beijing next week to push for a deal to protect American intellectual property and avert a March 2 increase in US tariffs on Chinese goods. The 10-year US Treasury yield extended its overnight decline to a one-week low of 2.643pc. The 20-year Japanese government bond yield dropped to a 27-month trough of 0.400pc. The 10-year German bund yield fell to 0.105pc on Thursday, its lowest since November 2016 after the European Commission’s sharp cuts to growth and inflation forecasts. The euro sagged under the weight of declining German bund yields. The single currency was little changed at $1.1339 after dropping to a two-week low of $1.1325 the previous day. It was on track for a 1pc weekly loss. The dollar was a shade lower at 109.750 yen, nudged off a high of 110.09 reached the previous day. The yen tends to attract demand in times of political tensions and market volatility due to its perceived safe-haven status. Yet, the US currency was still headed for a small weekly gain of 0.3pc against the yen, supported by the earlier rise in Treasury yields. The Australian dollar was on course to end a bearish week firmly on the back foot, last trading down 0.35pc at $0.7079 after the Reserve Bank of Australia (RBA) cut its growth outlook. The Aussie slid sharply on Wednesday after the RBA stepped back from its long-standing tightening bias, saying the next move in rates could just as well be down as up. The currency was headed for a weekly loss of 2.3pc. In commodities, US crude futures slipped 0.7pc to $52.27 per barrel, extending losses after dropping 2.5pc in the previous session. Brent crude was down 0.6pc at $61.26 per barrel. Oil fell as the market was hurt by concerns that global demand growth would lag in the coming year.